Observing small children as they notice budding flowers, snail trails, floating bubbles and dripping rain for the first time is a wonderful reminder of just how special these ordinary things are. 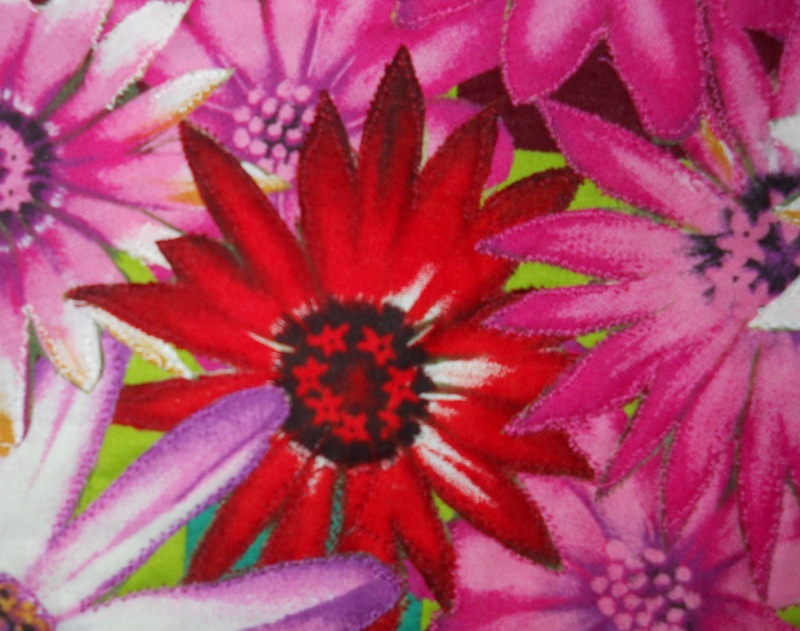 In an effort to retain some of that wide-eyed wonder herself and to share it with others, Ruth has stitched these vibrant textiles. 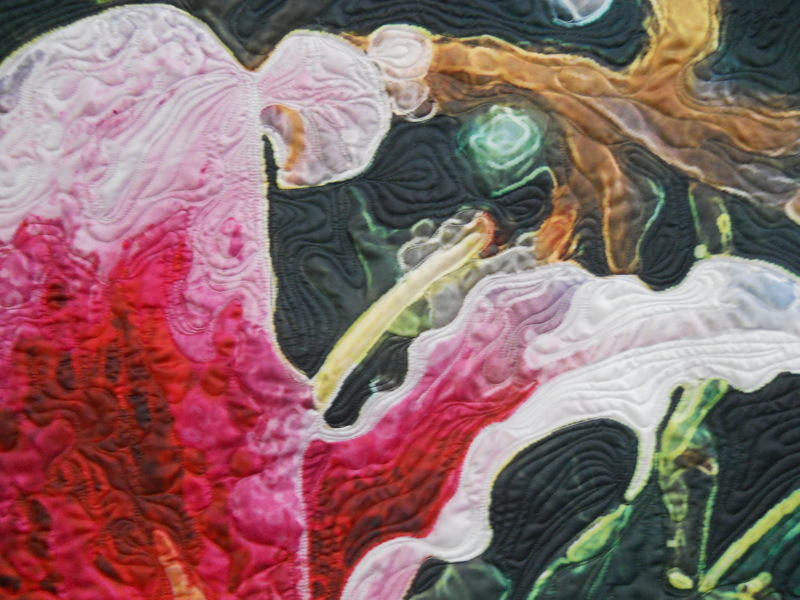 I just uploaded my entry into the International Quilt Festival’s special exhibit, “Tactile Architecture” at Houston this Fall and then to travel for one year after that show. 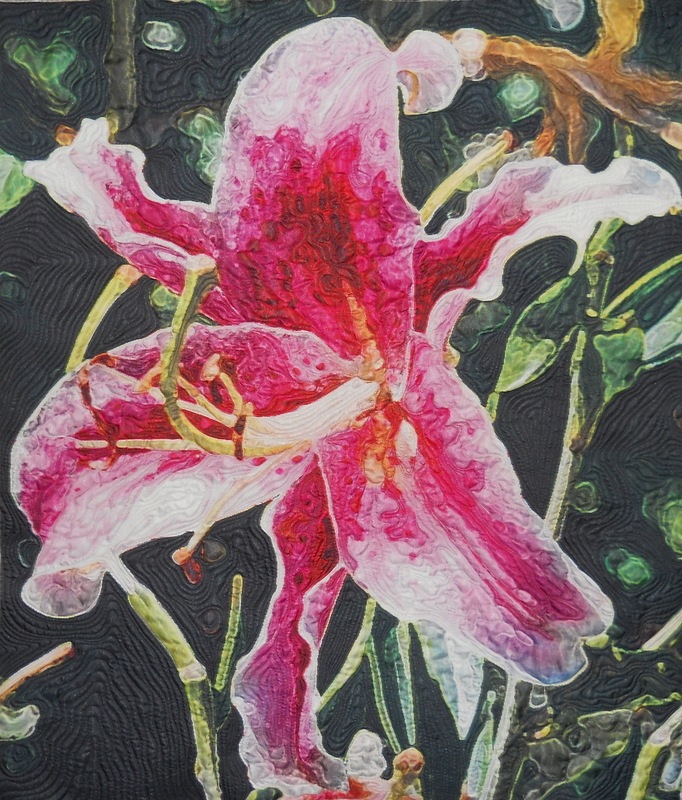 I submitted my entry online to their special exhibit “In Full Bloom” yesterday. This exhibit also travels for one year. Now I have to wait to see if they will be juried in for the show. We are told that we will be informed by June 1st. A long wait! I went on a quilt retreat a few weeks ago. What fun! There were eight of us working on our own quilts in a large room with design wall, irons set up and cutting tables outside that room. It’s from the pattern “Sunshine Maze” of Christine Porter Quilts, which I had purchased from Shiisa Quilts Shop in Bloomington, Indiana, awhile back. I’m going Thursday for the preview night and will be there Friday. Let me know if you want to meet there. 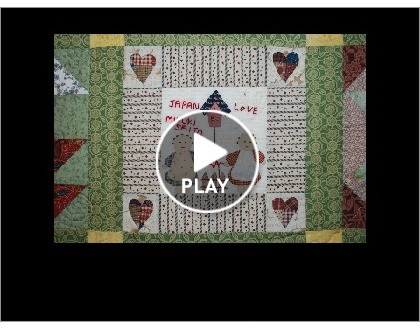 Forty-one wall quilts were created collaboratively by quiltmakers in Japan and in central Texas as expressions of condolence following the 9/11 tragedy. Here is a selection of those quilts from the exhibit, Quilts That Helped Us Heal, that appeared last fall at the 2011 International Quilt Festival in Houston. 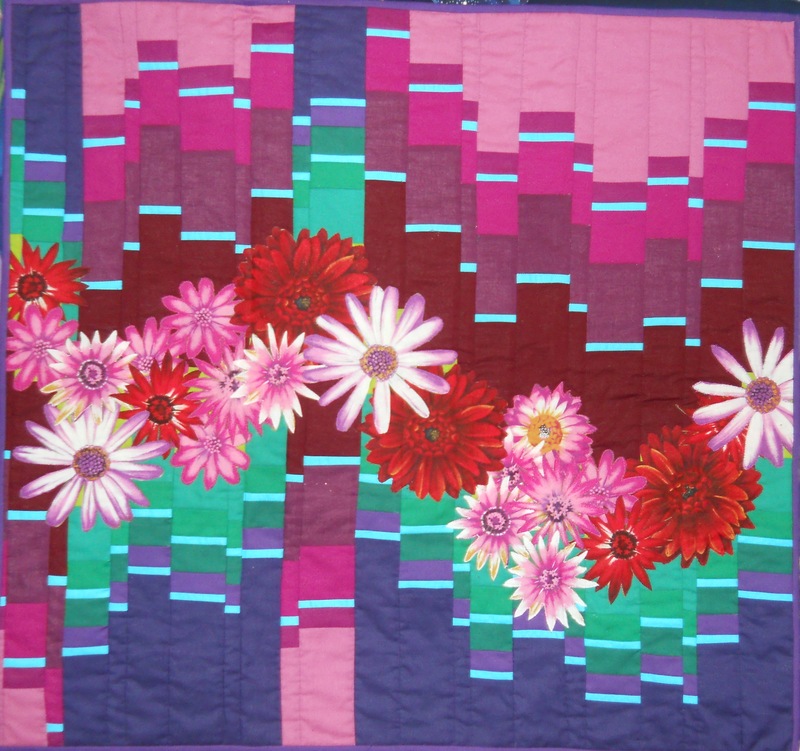 Fenway Park Centennial Quilts by Rosemary Bawn & Other Quilt Artists is on exhibit at the New England Quilt Museum through July 8, 2012. The show commemorates one hundred years of the Boston Red Sox’ Fenway. 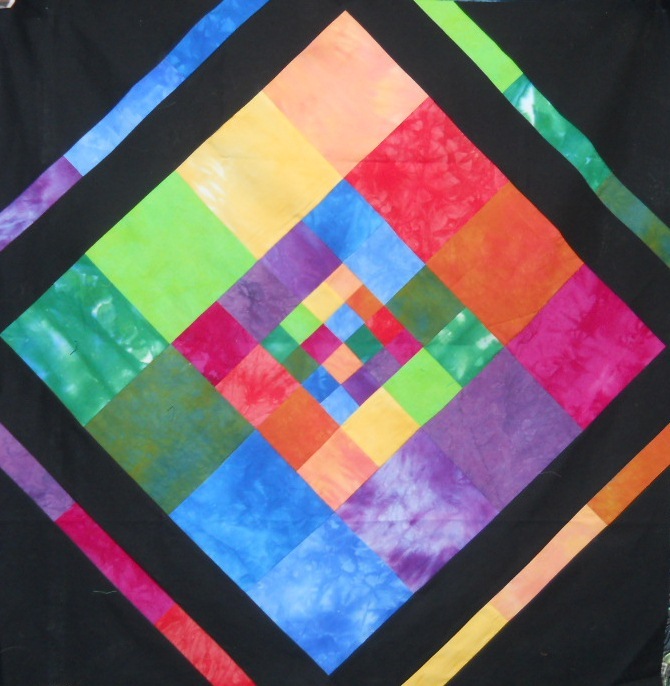 The International Quilt Festival in Houston, Texas, 2011, announced a record attendance of 60,680! There were more than one thousand quilts on display; over three hundred classes; five hundred forty-nine vendors. Quilt artists and aficionados came from more than thirty-five countries.